These last few days have been more than I could have ever hoped for. As I wrote last week, this past Sunday, I made the decision to be Baptized declaring my faith in Jesus Christ to the world. The man that Baptized me is someone I have grown to have great respect and love for as a friend and brother in the Christ as well as a pastor and mentor. Truly blessed and honored that having this guy, who has been a big part of my journey, to do this for me. 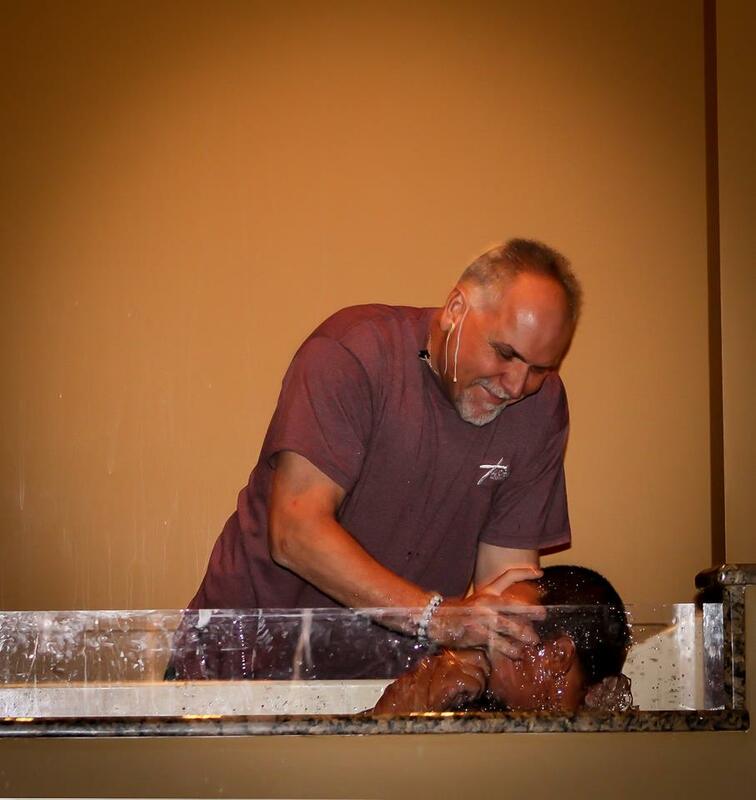 Many have differing view of what Baptism is. This is not where my salvation lies, but rather the way to show the world that I died with Christ to my sins and have now been raised to a new life in Christ. What was one of the most amazing parts of the day was the genuine love that was poured out from people. Not just from my family, Amber and the kids, but from having my mom come out, a brother from the Wild at Heart Boot Camp, and then so many that are a part of my church family including brothers that have joined in my faith walk. I’m a real subtle and laid back kind of guy, but through this whole thing as I sat in that water, there was a smile on my face, that I could not get rid of. My pastor shared some of my story and then hearing the cheers of those in the congregation, was so awesome. 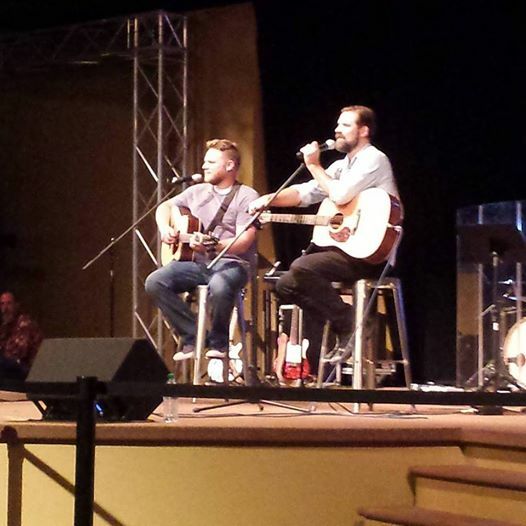 That night, we had the chance to celebrate more as Mac Powell from Third Day came out for a night of worship, joining our awesome worship team. What a great way to cap off an amazing day and one I will never forget. I feel like God has just opened up so much in my life. Being around everyone through this celebration; I’m reminded of the importance of fellowship and having people in your life to walk in the faith with. There is true discipleship of walking with God and being guided by the Holy Spirit. There is also genuine discipleship and fellowship in doing life with others in the faith. I’ve had some awesome encounters with brothers this week and I can only pray to grow more, spiritually from these moments. It’s so important to have real and authentic connections with people throughout our life and I’m blessed God has brought these men in to my life. 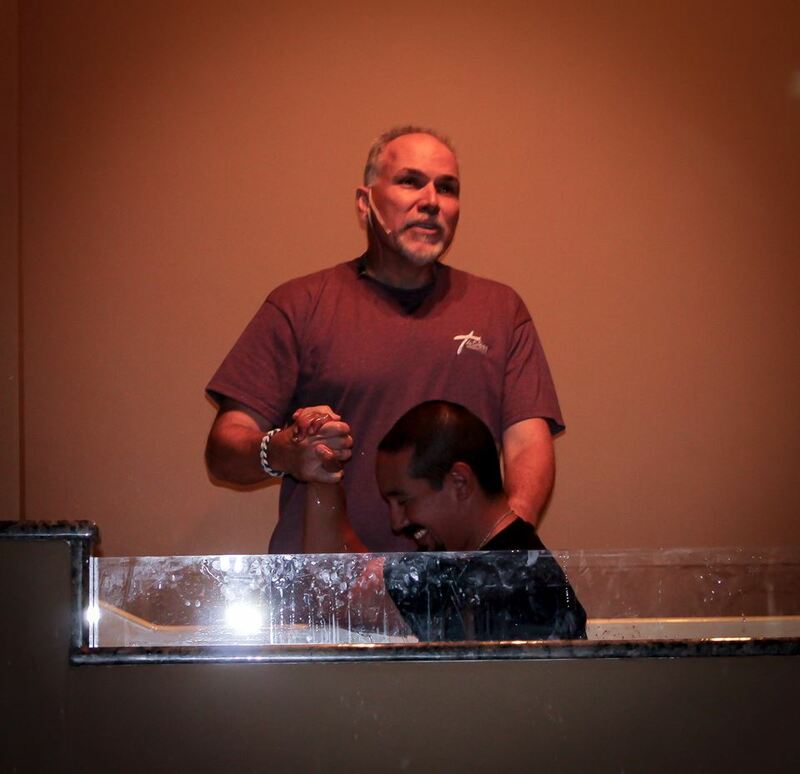 This entry was posted in 4 Stream Blog, Deep Restoration and tagged 4 Streams, Baptism, Deep Restoration, Fellowship on August 26, 2015 by Richard Clinton. I’ve learned a great deal about God through my own study and daily time in Scripture and writing in my journal. One vital thing I did not know, or rather did not listen about until recently was that I cannot walk through my faith and life as a lone ranger. For so many years, I did. Because of my own wounds and insecurities, I never let anyone in, other than my wife. I have friends and know many people, but I did not ever have anyone that I walk through my faith journey with. Men I could do life with that would help hold me accountable and allow me to the same in our faith. At my church, my pastor often talked about doing life in circles and not in rows. It took a long time for me to realize this shortfall. I wrote a few weeks ago, before the Wild At Heart Boot Camp, that this hit me hard while in our men’s ministry Bible study and I threw my hand up when we were asked if we did not have guys to walk through life with. It was almost subconsciousness. It was like God grabbed my hand and through it up. He knew where I was flying to the next week and was stirring my heart to prepare me. It was not like me, or was not like the false me, to just volunteer that. So since then God has done a work in my heart and I’ve come to really recognize that I was doing life as a lone ranger and I needed to change this. I needed to let others into my life. In the 5 weeks since that day, God has done a real work in me on this. He has brought men into my life in both my church and through my connections at Wild At Heart through my band of brothers. It has been quite a journey. I have stayed in touch with these guys and we’re committing to continue getting together now that we’re back home. We just had our first get together last week since being home and it was great. It is so awesome to have a group of authentic men to now do life with. Guys that don’t hide around each other and genuinely want to stay connected and be real about our lives. Look forward to more of those. In my church, I’m connecting with guys that are really helping my faith journey there as well and guiding me through the next stages of my life that are going to bring significant and exciting change for my family and me and in how I can serve God and extend his love to others. This is so vital. We need people in our lives to do life with and walk through our faith with. None of us, I don’t care who you are, have it all figured out. We need those knights at our round table like King Arthur to guide us along. God called this out, specifically, to me in Colorado when I was communing with Him. 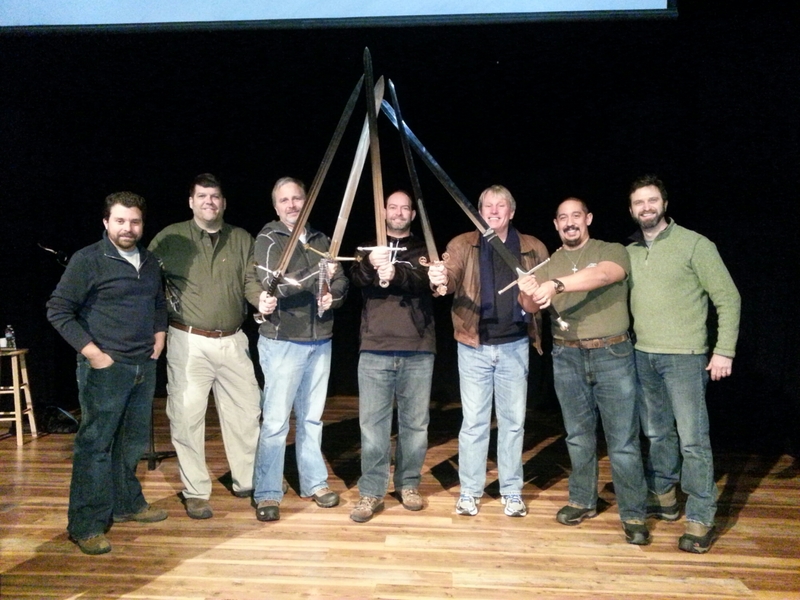 That I was being called to so much more, but needed those knights at my round table. Who do you have to walk with in life and in faith? I know I’m not the only lone ranger out there. The book Waking the Dead asks the question, how can we offer counseling and gain the counseling we need “unless we actually know one other and know one another’s stories.” You need to know people truly. Not just know them on the surface. King Arthur had his round table of trusted knights and knew each one of them and trusted them. Jesus had his 12 disciples that he trusted and he knew the hearts of each man. God puts people in our life to guide us along in life. People that we can trust and God will use them to Father us along in life. It must be small. It’s hard to get intimately close and truly get to know folks in large groups. Have a small band of people in your circles to really go through life with. That round table, that small platoon. As was added in Waking the Dead, “Jesus modeled this for a reason.” It’s how you can grow fully in faith and with God. You can gain strength from one another and help each other through the spiritual warfare that we each face. I know this is a new realm to my faith journey, and there’s so much I will learn hear. As I walk in this path and gain more from the Father, I will share more. Just know that you do not have to walk through life alone. This entry was posted in 4 Stream Blog and tagged 4 Streams, Fellowship, Intimate Counsel, Round Table on February 25, 2015 by Richard Clinton.